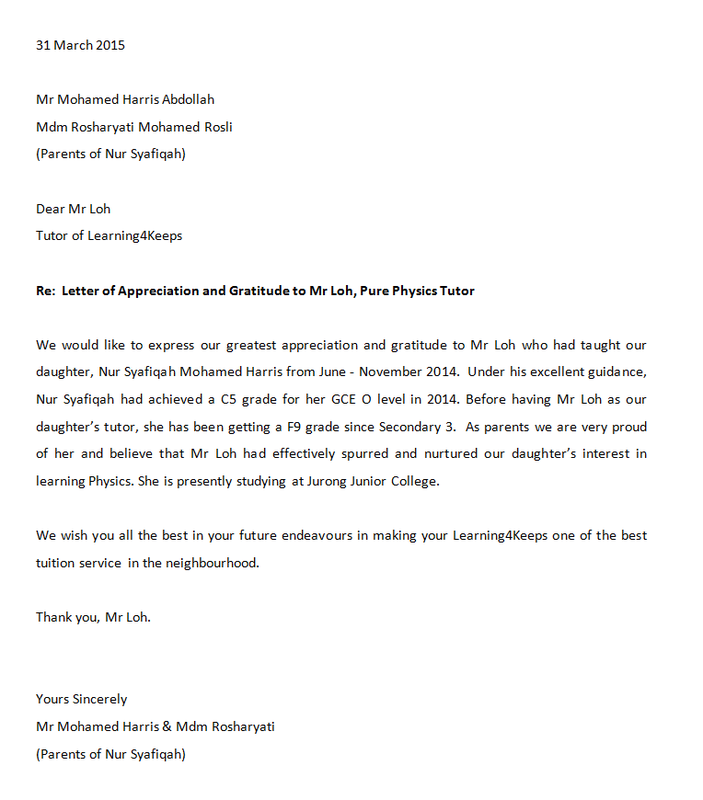 I joined the Pure Physics home tuition in June 2014 after getting a constant fail in Physics since Secondary 3. In tuition, Mr Loh would go through the important concepts before letting me do my work. He would make sure I know how to answer the questions properly in scientific terms and in a systematic manner even if it’s an MCQ question. Most of the time, Mr Loh would stay longer just to make sure that I properly understand what’s being taught. 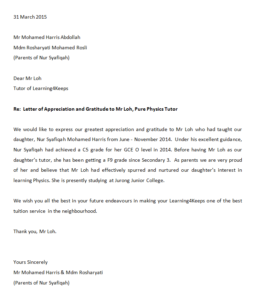 It was after months of having physics tuition with Mr Loh that I found myself gradually to be able to manage Physics questions with more ease.